Middlesex County Cricket Club today announced that resident Australian Sam Robson has signed on to stay with the county until the end of 2018. The 26-year-old, who has a British passport via his mother, made his debut for Middlesex in 2008 in the Natwest Pro40 competition, despite being just 19 years old. He made his first class debut the following season, scoring 43 against Essex, and since then he has made 101 appearances for the side. In his time at Lord’s, Robson has developed into a powerful opening batsman. He has several feathers in his cap, including making the earliest century seen in Britain, in March of 2012, having an excellent 2013 season and making three centuries for the England Lions in 2014. 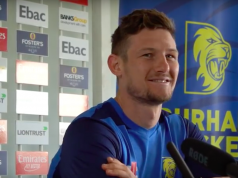 Robson’s achievements in the county game saw him selected for the England Test side in 2014 before making his maiden Test century against Sri Lanka at Headingley that year. “Everyone is naturally delighted that Sam has chosen to commit himself to Middlesex. Watching him represent England is one of the highlights of my return to the club. 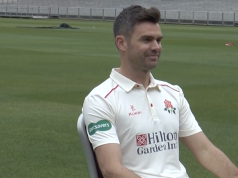 In response, Robson added: “I am very pleased to have signed with Middlesex for the next three years. At only 26 years of age I think my best years are ahead of me.